Over the past couple of days, I’ve recently discovered my new favourite game; Shadows of the Damned features incredible visual aesthetics and a disturbing, yet complex narrative that is almost impossible to forget. The non stop action, violence and drama provides a sense of adrenaline and curiosity as your character, Garcia Hotspur travels through the underworld, hunting demons in order to save the love of his life. The official Electronic Arts websites describes Shadows of the Damned as a psychological / horror video game that was produced by Suda 51. This unique and creative game designer also collaborated with Shinji Mikami who produced Resident Evil and Akira Yamaka who developed the music for Silent Hill. There are similarities between Shadows of the Damned and these two particular video games in terms of the visual and the audio effects. The music is my favourite aspect of the game and the musical compositions successfully provide a level of drama and anticipation. Sometimes, I’ll pause the game and I’ll leave the music playing in the background as I start the cooking or folding the washing. To be honest, I’ve never really payed attention to the music in a video game before, the designers / developers have refined every minor detail in order to provide a unique experience for the player. 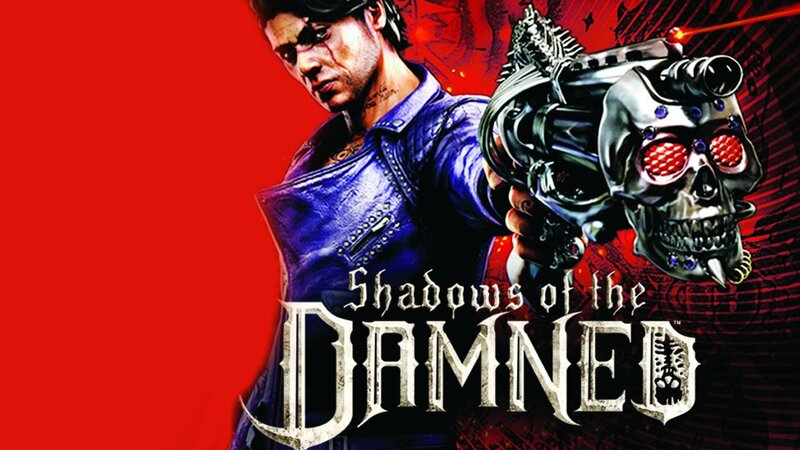 In June 2011, GamesRader awarded Shadows of the Damned with the game of the month and the website published a positive review in regards to overall gameplay, the narrative and the soundtrack. 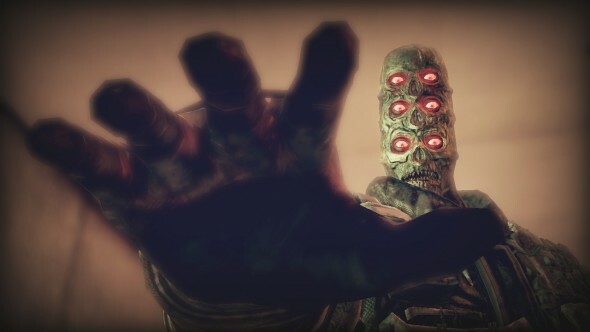 According to Evan Narcisse, Shadows of the Damned was developed by a Japanese game developer known as Grasshopper Manufacture and EA games assisted with the publication. Suda 51 and Grasshopper Manufacturer have created an addictive, yet horrifying game that has captured my attention from the very beginning. 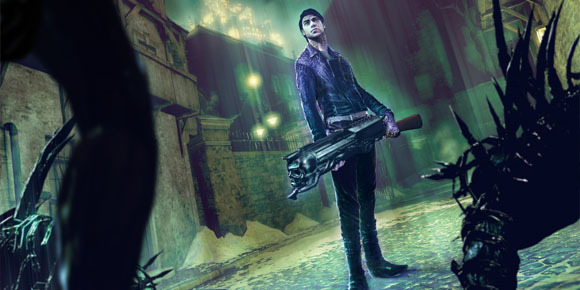 Garcia is accompanied by a demon named Johnson, a levitating skull that is able to transform into a weapon or a motorcycle at any given moment. Once they enter underworld, they are immediately bombarded with grotesque monsters, demons and decapitated corpses. While the visual landscape is macabre, the graphics do feature an artistic aesthetic that is admirable. The underworld is illuminated with intricate engravings on the door and magnificent poster designs that are attached to the wall. As I continue to play the game, I begin to recognise all the minor details including the floorboards and the individual blades of grass. In fact, the detail is phenomenal for a game that is at least three years old and the direction of the light does provide a sense of depth. 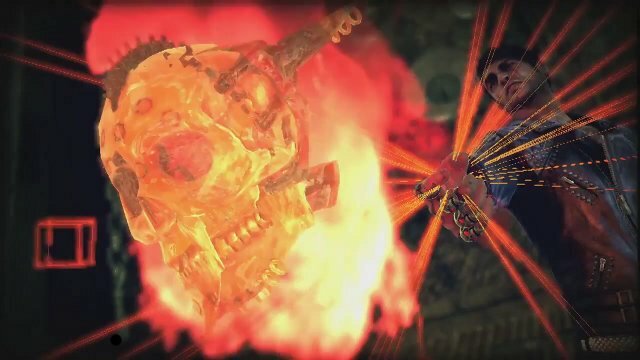 There is a strong reference to skulls within Shadows of the Damned; the vibrant patterns and designs remind me of the Mexican Day of the Dead. It’s almost impossible to play Shadows of the Damned without recognising a skull and the main character is completely covered in skulls. I began to recognise Garcia’s skull tattoo’s, his jewellery, his bright skull jacket, his motorcycle and his weapons that feature a golden skull at the very front; all of these elements compliments the character’s eccentric personality. Did I mention that the underworld is completely saturated with skulls? They’re scattered across the floor, they’re engraved into the doors, the walls, even the tombstones! Every inch of the game features a skull, although the underworld wouldn’t be an interesting place without them! The characters within Shadows of the Damned feature a surreal appearance and there are certain aspects of the game that appears carnivalesque. While the demons are violent and grotesque in nature, the aim is to kill and slaughter as many demons as possible in order to save Paula. This does prove to be rather challenging, especially when your character is swamped by an army of blood thirsty demons that have the power of darkness to protect them. As the game progresses, the story begins to unravel the dark and twisted love story between Garcia and Paula; you cannot help but sympathise with Garcia, as he helplessly watches these demons brutally murder his girlfriend over and over again in all different types of scenarios. In fact, the storyline becomes incredibly weird and disturbing, although the game features an element of humour that is combined with Garcia’s crude jokes; these particular elements provide hours of entertainment. It’s quite difficult not to laugh at Garcia’s weapons that continually refer to the male genitalia, in fact there are quite a lot of sexual innuendos within the game. I don’t usually play video games, although I was deeply inspired by the graphics within Shadows of the Damned and the obscure narrative influenced me to play the game from the very beginning. Honestly if I had to rate this game, I would give this one a 10 out of 10! So if you’re searching for a game that’s features an artistic style or something that is random or spontaneous, then I would recommend Shadows of the Damned! Click on the links below for further information.